Loftus' Catholic Times column of 22nd August is a real crowd-pleaser. He trots out all the old favourite themes, but his main theme is an attack on the recent Instruction on the Kiss of Peace, as I predicted. Pope Francis has done nothing of the kind - unless you count his failure to wear red shoes, something to which I have always refused to attribute any tremendous symbolic significance. Red shoes are not the kind of symbol Pope Francis is interested in: that's exactly why he doesn't bother wearing them. ...separating priests from people in a way that subordinates sacramental reality to social protocol, distinctive dress, and pompous titles. Yes, we're looking at you, Monsignor. ... and from the subdeacon to the Master of Ceremonies, who takes it to servers and those in choir. 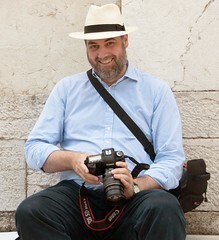 Sadly, as also with the emerging identity of the episcopate, and indeed of the Church itself, the "priesthood as we currently have it in the Church" owes its love of titles and carnival costume, and its desire to rule rather than serve, to the contagion of Holy Roman Empire's feudal system of government. 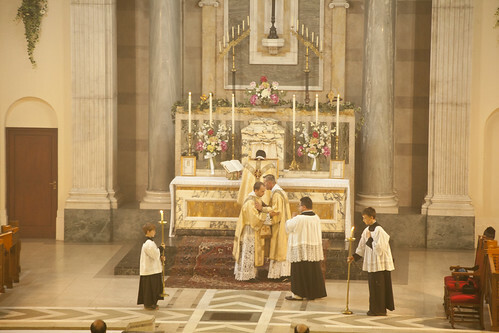 Naturally the Church is influenced by every era, but the structure, and indeed the terminology, of the Curia, and liturgical vestments, are derived from a much earlier era, that of the late Roman Empire. No secular officials were wearing copes, albs, chasubles or dalmatics under the Holy Roman Empire, for the Church to imitate. The desire to rule rather than to serve, sadly, is something which Our Lord had to combat among the Apostles before His Passion: it is part of human nature. the latest letter from that Congregation [sc. Divine Worship] ...forbidding the priest from sharing that sign [of peace] with the faithful assembled at Mass.... It makes a nonsense not only of Christ's own example [really? ], but of the reminder in John Paul II's Veritatis Splendor that "Jesus' way of acting, and his words, his deeds and his precepts, constitute the moral rule of Christian life" (n.20). [72.] It is appropriate “that each one give the sign of peace only to those who are nearest and in a sober manner”. “The Priest may give the sign of peace to the ministers but always remains within the sanctuary, so as not to disturb the celebration." So was he a fool, or a hypocrite? Neither, because Jesus did not give us the kind of detailed guidance which would obviate the need for the Pope to govern the liturgy. shoulders, the deacon places his hands on the celebrant's elbows. Inadvertent attack on the liturgical reform. Is the real reason for the is prohibition on the priest entering into the congregation's Sign of Peace the fact that a true 'embrace' is ordered in the rubric for the concelebrating priests. [No, it isn't.] No handshake here .... We can't have the laity imitating priestly gestures at Mass, so they are to be rationed to a handshake. What small child ever expresses its love for its parents by a handshake? You've said it, Basil. The handshake was introduced in the reform, in order to make possible the physical participation of the congregation in the Kiss of Peace, without asking them actually to kiss - or rather, as the 'kiss' has developed in the Latin Church, either to embrace, or to pass round the Paxbrede, kissing it in turn. The handshake is indeed very unsatisfactory. 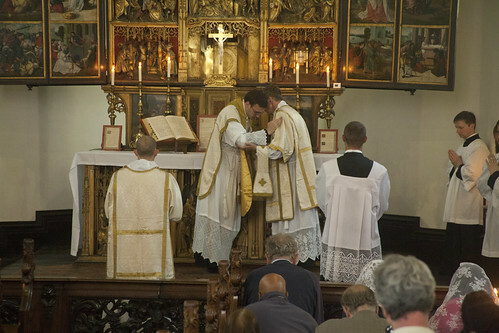 But the problem was not that the embrace was 'priestly': it spreads from the celebrant to the lay people in the sanctuary, at the Traditional Mass, such as religious sitting in choir, and the servers. The problem was that it was regarded by the reformers as impractical: as indeed it would be. Attempts to substitute spontaneous hugs for handshakes at the Peace in the Novus Ordo today never fail to cause some members of the congregation acute embarrassment. Inadvertent attacks on the abuses he supports. Look at the requirement [in the Instruction] that Eucharistic Ministers may give out Communion, but may not purify the sacred vessels. 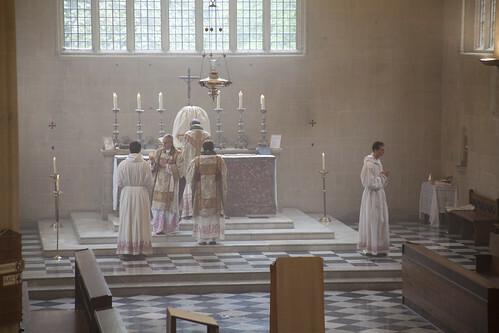 Did it never occur to anyone that some parishes have six or eight Eucharistic Ministers with chalices which must then be drained by one priest, not once but at three Sunday Masses, before he then continues to drive around the parish? 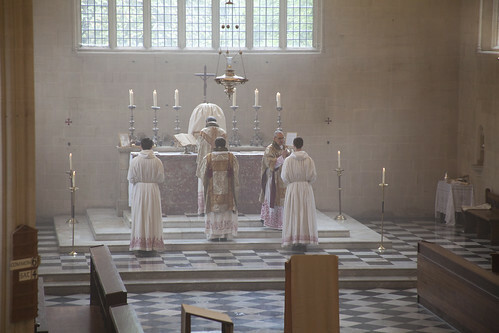 celebrant, and then tendered by the deacon to others in the sanctuary in succession. Attack on Pope Francis disguised as support. The whole article is an attack on a document of the Congregation for Divine Worship, which has emerged following many years of discussion, notably, on the subject of the Pax, at the Synod of Bishops in 2009, in which the Congregation was asked to study possibility of moving the Pax to an earlier point in Mass. The outcome of all this, well into the pontificate of Pope Francis, cannot be regarded as other than an act of his pontificate. If Pope Francis didn't personally involve himself in the formulation of the document, he at least took the decision to let his officials get on with it in the way which he knew they would: in line with earlier Instructions. The idea that there is some kind of conflict between the 'spirit of Pope Francis' and Curial obstructors, on these issues, is a complete fantasy. In reality, it is Pope Francis who is the target of Loftus' wrath. It may be worth noting that Communion under Both Kinds is not widespread in Latin America. 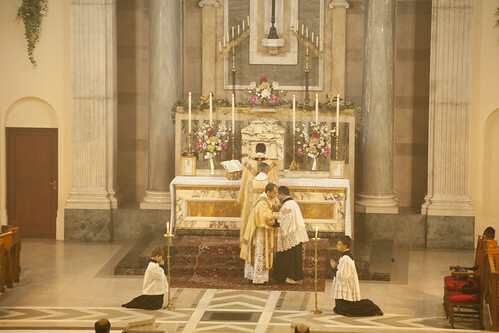 There is no earthly reason to suppose that Pope Francis has any particular sympathy with the kinds of liturgical abuse which has become prevalent in Western Europe and North America. Why should he? On the Reception of Holy Communion under the Species of Bread Alone. all to go to Communion. It undermines the symbolism of the peace coming from the Altar. But it has nothing to do with excluding lay people from a 'priestly gesture'.